The Atomi RAZR allows multiple device charging with much less space than the traditional powerstrip and much faster. As your equipment inventory grows, so will your need to charge multiple devices at once. 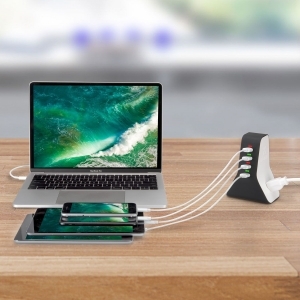 It’s not uncommon to be charging up to 4+ devices at a time. This is usually not an issue of you have a study or office for your stuff. However, if outlets are sparse, you will likely need use a power strip. Power strips work fine until you start plugging more than 3 or so items is. Often times, the plugs overlap the ones next to them. This makes it difficult, if not impossible, to get all your gear charged at once. This device also comes in handy if you ever attend an event with other street preachers. Go to a Super Bowl outreach or Kentucky Derby and all plugs in the sleeping area are at a premium. You’ll be way ahead of others being able to have all your stuff charged while their looking for other outlets. Enter the Atomi RAZR 4 Port Charging Tower with 2 Power Outlets. 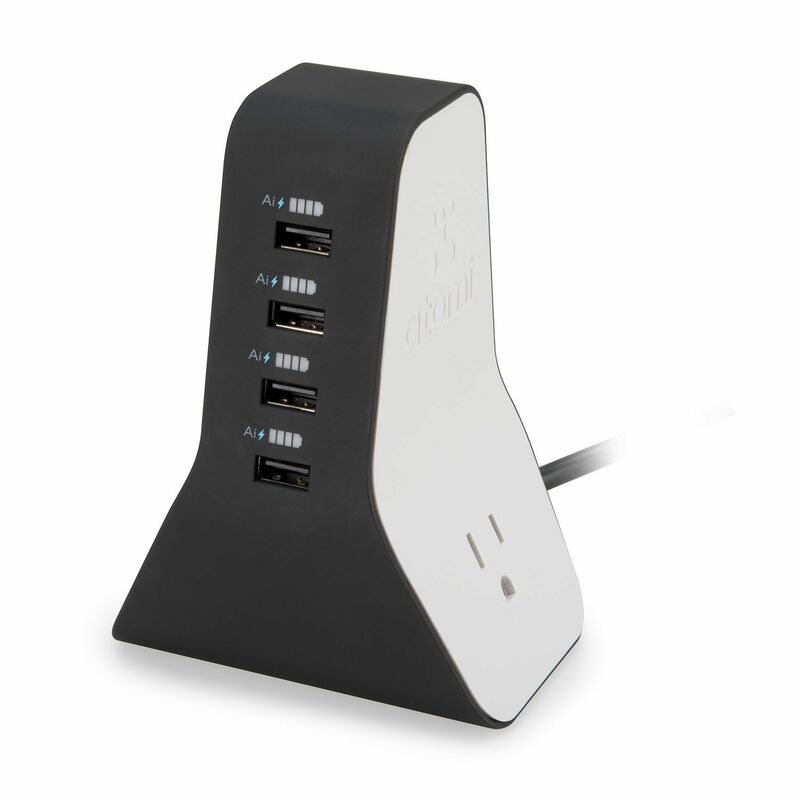 With 4 USB ports and 2 outlets, you can charge up to 6 devices at once. That means you can power up your smartphone, tablet, laptop, GoPro, Aker – whatever. Plus, the RAZR charges up to 50% faster than standard wall chargers—Ai Smart Charge technology identifies your device and delivers the quickest charge. Its high-tech design keeps cables organized and the charge indicators let you know when your devices are ready to go. It also includes a 400 joules surge protector. As of this writing, I was able to find it at a local Sam’s Club for less than $15.